Corporations establish stakeholder orientation because of the influence that ethical issues and social responsibility play in their success and longevity. Boatright (2009) posits that in the traditional system of corporate governance the decision making power is controlled by the shareholders. In addition to control, shareholders are also entitled to the profits (Boatright, 2009). In a business environment however, there are many other groups that have a claim or “stake” in some respect to an organization’s products and services. In addition to the shareholders and investors, the organization’s stakeholders also include the employees, customers, suppliers, government agencies, communities and other special groups that have a claim in some form of the organization’s merchandise, operations, markets, or other areas of interest. This group is known as the primary stakeholders. The secondary stakeholders are the special interest groups and the media that also help influence the operation of a company without direct economic exchange. In this context, primary and secondary stakeholders are in a position to help define an organization’s ethical policies. 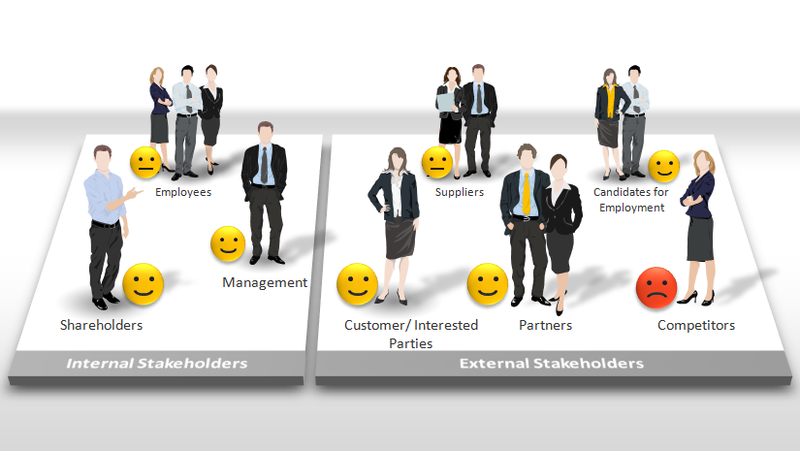 In addition, stakeholders influence business outcomes and businesses influence stakeholders as well. Ferrell et al. (2013) describes this as a two-way relationship. Stakeholder orientation is identified as the manner in which an organization comprehends and tackles stakeholder demands with respect to ethical and social responsibility issues. The corporate governance process is comprised of three sets of actions that include: (a) the collection of information and data throughout the firm, (b) the disbursement and integration of the information, and (c) the reaction of the organization to the information (Ferrell, Fraedrich, & Ferrell, 2013). In short, stakeholder orientation implements methods to address and manage stakeholder concerns with respect to social responsibility to the community and the environment. Because stakeholders have the ability to withdraw their resources, they are critical to an organization’s success and are in a position to define important ethical issues. 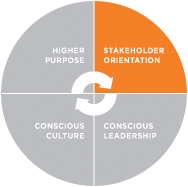 Organizations that develop effective stakeholder orientation plans identify the corporate culture, stakeholder groups, their issues, and create an open atmosphere for feedback. These are corporate governance strategies that help leaders comprehend the importance of social and ethical responsibility. For example, when activist groups with the help of the media (secondary stakeholders) disclosed to the public that Burger King’s beef supplier was destroying the Brazilian Rainforests, primary stakeholders (consumers, employees, and government agencies) united to boycott the organization to change their behavior. This movement caused Burger King to experience huge profit losses and as a result was forced to implement more ethical decisions into their business practices. The media exposé made stakeholders respond to the significant environmental issue which influenced a change in the business policies that governed the corporation. By making this change, Burger King showed it was a socially responsible corporation. This tactic help them regain their fair share of the market again. In this context, the primary and secondary stakeholders clearly affected how the corporation engaged in tactics of social responsibility with honesty and fairness to achieve positive outcomes. The rain forest was no longer being destroyed by Burger King’s business practices and as a result embraced Greener policies. These actions displayed they were socially responsible by engaging in ethical practices. In doing so, they won back the public’s trust and confidence in their brand.